Long trail with consistent gradient, but not overly steep or rugged. Any time when the slopes aren't too snowy or the weather too stormy. Fall is best for aspen foliage. 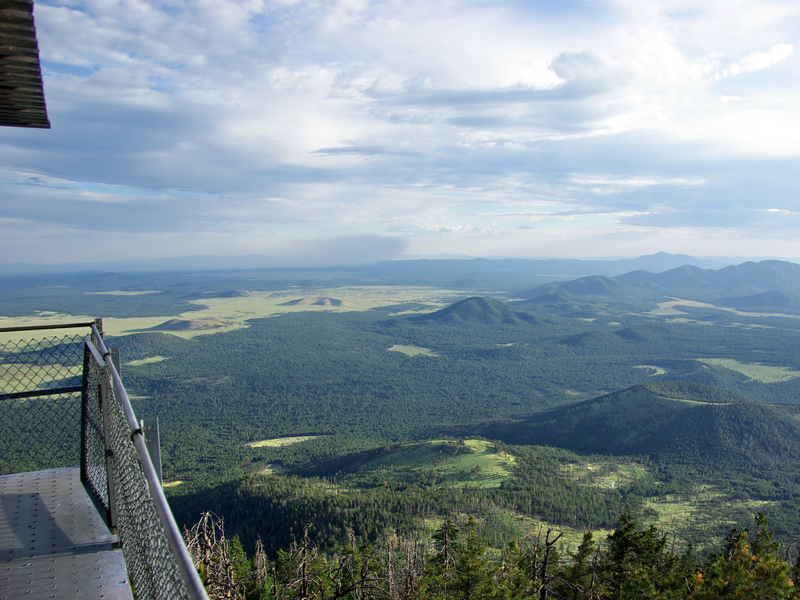 This is the most popular route up Kendrick Peak--an extinct lava dome volcano that towers to 10,422 feet. From its summit you can gaze into the distant Grand Canyon. The moderately steep, 4.5-mile trail makes a rewarding hike or trail run past a series of vistas, through a mosaic of forest types, and to the top of a spectacular but uncrowded mountain. For an even longer and more varied hike, make a point-to-point route with one of the other two trails on the mountain. Of the peak's trails, Kendrick Mountain Trail is the most traveled and well maintained, but that doesn’t mean you will see very many people on the route. It does mean that the hike is easy to follow and has relatively smooth terrain, although steep in some places; it is the fastest way to the top of Kendrick. No part of the journey will disappoint. It begins a gradual climb right out of the parking lot, into a large burn area from a wildfire in 2000. Soon it starts to switchback into more intact coniferous forest with intermittent clearings that show the surrounding landscape dramatically dropping away. As you continue uphill, aspen trees line the trail where the top comes into view. An obvious fire tower marks the summit, but you aren’t there yet. Hang in there for several more switchbacks, pausing to catch your breath at overlooks, and you will soon reach an open meadow on the mountain’s saddle. Here, there is a historic lookout cabin that firefighters heroically saved from the fire. Check out the inside and image what it was like to live up here as a fire watchman in 1920. From this spot, you are nearly at the top. Crank out the last set of rocky switchbacks, then treat yourself to huge views from the summit’s concrete platform. 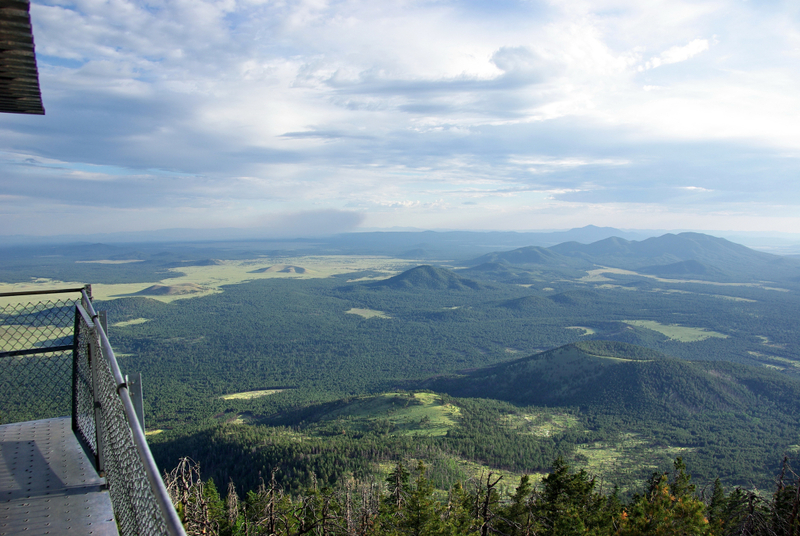 This trail is a must-do for anyone looking to bag Northern Arizona peaks. Compared to other regional summits, this one offers the best vantage point of the Grand Canyon. On a clear day, you can easily see the huge divide between the South Rim and the higher-elevation North Rim. This is also one of the better mountain trails for runners, because its gradient is sustained but not too steep, and the path is not excessively rocky. Those looking to make a longer route should do a link up with Pumpkin Trail or Bull Basin, which traverse very different scenery on the opposite side of the mountain and finish together at a different parking area. 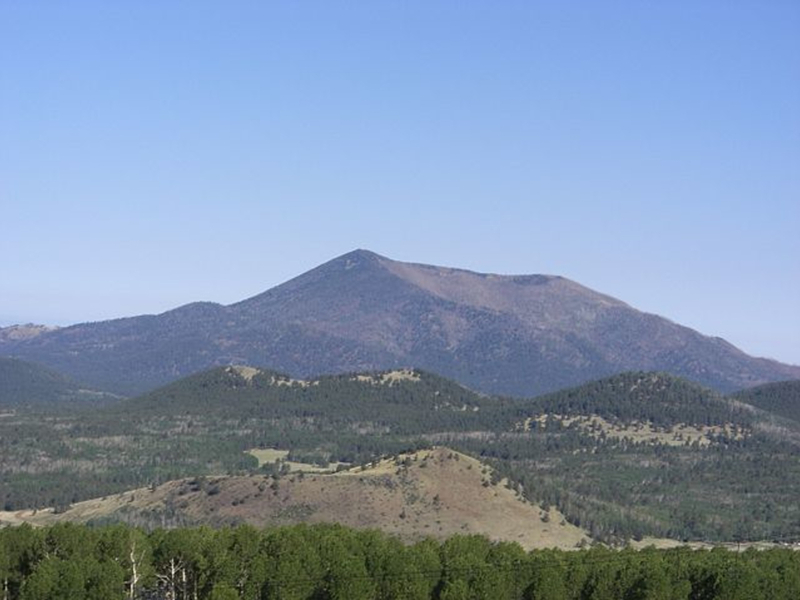 From Flagstaff, take US-180 to mile marker 230 and turn left on FR 245. Once on this dirt road, follow signs to Kendrick Peak and the Kendrick Mountain Trailhead. These roads are closed in winter. Once on the trail, you enter the Kendrick Mountain Wilderness Area. Bicycles and motorized vehicles are prohibited. Horseback riding is allowed, and dogs are welcome on the trail. During the summer, there may be cattle grazing on the mountain’s lower slopes. These belong to local ranchers who have grazing permits in the national forest. Pass the cows slowly to disturb them as little as possible.